During the most recent fiscal year, researchers at Texas A&M and affiliated A&M System agencies formed six startup companies and executed 50 licenses, bringing the total number of active licenses to 441; 38 licenses for new technology were executed and 32 patents were issued. The Cancer Prevention and Research Institute of Texas has awarded eight research grants to Texas A&M University totaling more than $9 million. The EPA Awarded Texas A&M Researchers $6 Million Grant to Investigate Environmental Impact on Cardiac Health using human cells and mice. 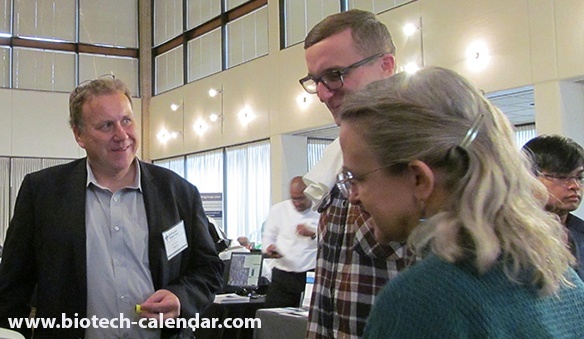 Last year, the BioResearch Product Faire™ Event at Texas A&M University attracted 163 attendees, of which 31 were professors and post-docs. Of the total attendees 23 were lab managers. These attendees came from 26 different research buildings and 31 on-campus departments. We invite you to meet & showcase your laboratory products to active Texas A&M researchers by participating in this annual BioResearch Product Faire™ event.
" Show was great!!! Great leads, we will be back again!" "Their shows are so well organized and attended. Happy at every event of theirs that I attend. They have the best shows!"